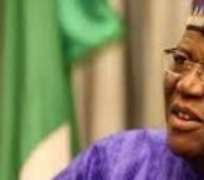 FORMER governor of Jigawa State, Alhaji Sule Lamido has become the first presidential aspirant of the Peoples Democratic Party, PDP, to have an intimidating campaign office in the South East for the 2019 elections. The magnificent two-storey edifice consisting of six flats and adjoining offices located at Umuokpu area of Awka, was donated to the presidential hopeful by an indigene of the community, Chief Arize Ekelem, who is a close confidant of Lamido. It is expected that Alhaji Lamido would personally commission the campaign office when he visits the South East in the next few months. Ekelem said during an inspection of the office that he decided to throw his weight behind Lamido's ambition after seeing the magnificent work he did in Jigawa State as governor. He said: “I have been to Jigawa where he governed for eight years and I saw the massive development he brought to that state. I have visited many states in Nigeria and there is none to compare with Lamido's achievements in terms of provision of democracy dividends to the people. If Nigerians can realize that what we need is someone who can unite the people and develop the country, Sule Lamido is the right person. Lamido has a humble background and that is why he understands the needs of the less privileged.” He said that apart from his organization which has branches in all parts of the country, there were other groups working hard to actualize the Lamido presidential ambition. One of such groups, he stated, is the Anambra Central Assembly (ACA), comprising professionals and entrepreneurs in the senatorial zone, adding that members of the group have decided to support Lamido fully. Ekelem said that members of his group have also gone round other states in the South East, adding that they have identified with Lamido's presidential aspiration. The various churches, he stated, are also strongly supporting him as the people have been made to realize that he is the type of person Nigerians are looking for. According to Ekelem, “Nigeria's problem is neither Biafra agitation, nor Boko Haram or OPC. Our main problem is leadership. Our problem is our inability to identify who will govern our country well. I strongly believe that Sule Lamido will develop Nigeria and ensure an enduring peace if he is elected the President. I am certain that if he is elected President, all these agitations will cease and hunger and poverty will also end. “Our economy will grow and the country will grow to become an industrial nation. “I believe that he has the capacity to be a good President and to show how serious we are in supporting his aspiration, we donated this property worth over N35million to be his campaign office in Anambra State. We have also procured two buses for the campaign and we are prepared to donate more. We are also planning to acquire campaign offices in other states in the South East to ensure that the campaign organization has a strong base in this part of the country. Ekelem, who said he knew Lamido through his contact with former military president, General Ibrahim Babangida, expressed optimism that PDP would win the 2019 Presidential election because, according to him, the ruling All Progressives Congress, APC, had failed the nation. He added: “It is very certain that PDP will win the 2019 election. All the problems PDP had are over and all those problems have been transferred to APC. The way Nigeria is at present, I don't think that many people in APC can have the courage to tell Nigerians to vote for the party in 2019 because they have brought poverty and problems everywhere. “APC has done its best, but its best is not good enough for our country. We want God-fearing person to come and provide the much needed leadership so that the country can move forward. On Igbo man becoming the president of Nigeria, Ekelem said: “It will take a very long time for an Igbo to be president of Nigeria. What Igbo should be after is not who among them will be president. Rather, we should fight to get another state from this zone. If can get the state, we should then fight to get more local governments. “It is unfair for one state in the north to have 44 local governments when the five South East states put together have less than 100 local governments. As small as Jigawa is, it has 29 local governments; as big as Anambra is, it has only 21 local governments. So, if one looks at it from this perspective, one will discover that it will take Igbo a very long time to produce a Nigerian president, unless God, in His infinite mercy, intervenes in the matter. “The question is, if an Igbo man is nominated by his party, will the Northerners be prepared to vote for that Igbo man? Will the Yoruba's vote for Igbo? So Igbo should first of all put their house in order. How can we get the president when some youths are busy talking of Biafra? If we want to govern Nigeria, Igbo people should come home and develop their area. In other parts of the country, Igbo are dominating commercial activities, while their home states are under developed. Other Nigerians, like the Hausa's and Yoruba's, will always go back to invest in their states once they make money elsewhere.